Quinns: Crack! Boom! Patter patter patter. It’s monday, and this is your board game weather report, predominantly plucked from the dark skies of the Board Game Geek News Blog. Big news first. 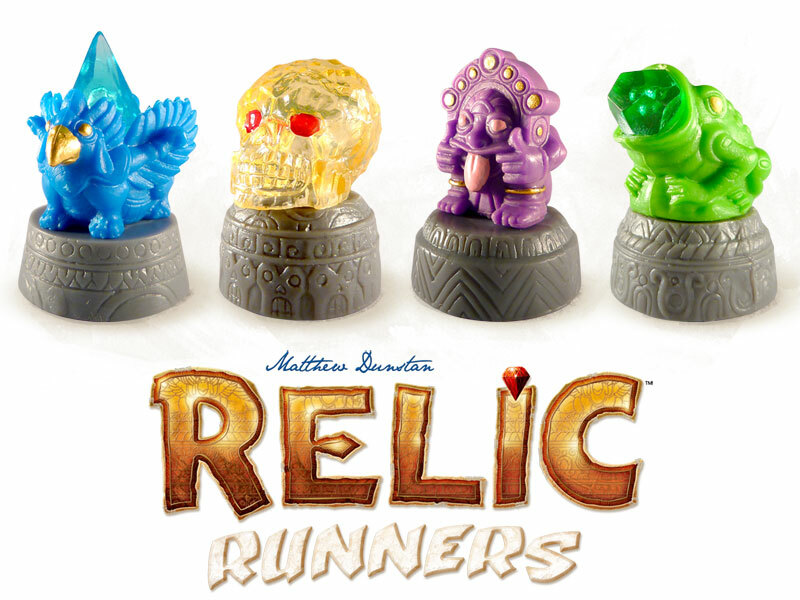 Days of Wonder, publisher of such incomparably plush releases as Small World and Memoir ’44, have announced their new game: Relic Runners, seen above. Releasing this September, it sounds and looks absolutely luxurious. 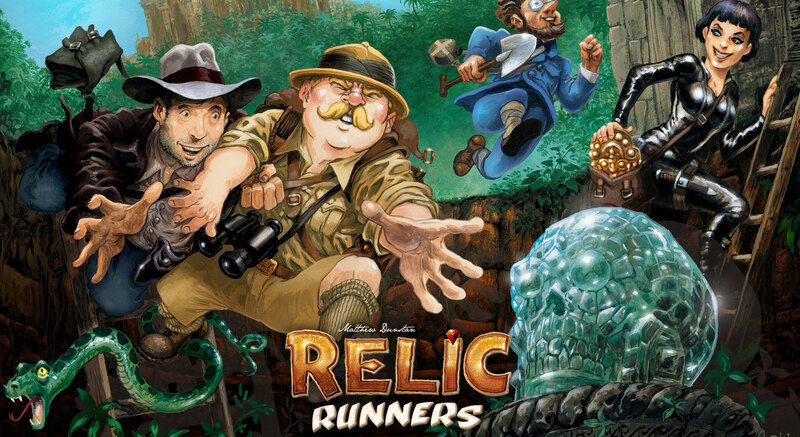 Players will explore a dark jungle, building bridges, forging pathways and nosing through forgotten ruins, all in a quest for priceless relics. Which, for the first time in the history of board gaming, are represented by objects you’d actually want to own. Images after the jump. Days of Wonder have yet to reveal any rules, so for now you’ll have to settle for exploring the game’s flimsy little site. That said, there you’ll see the absurd detailing on all the tokens. And here’s the board proper. Ooh. Tingles. Days of Wonder have only gone and offered us an interview, so we’ll be bringing you details very soon indeed. More tangibly exciting news this week comes from publisher AEG, who I’ve seen are publishing a “Big In Japan” game line. This is the same publisher responsible for the Western release of glorious Japanese microgame Love Letter, which we really do love, and that sells out here in the UK as fast as they can print it. 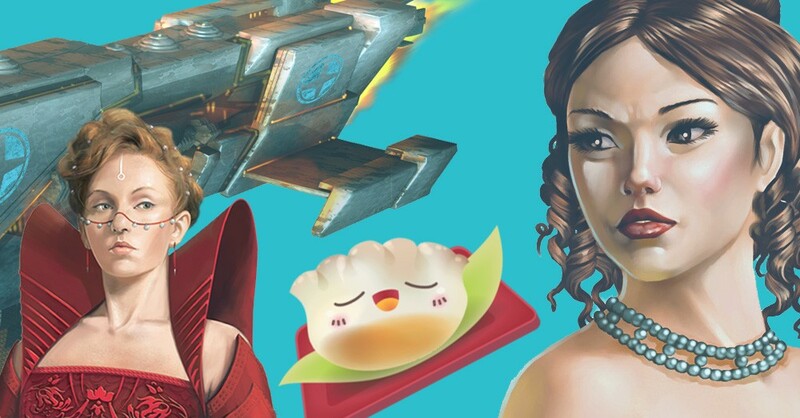 Obviously, this prying open of the doors on the Japanese gaming scene is a huge development, and the BGG news blog has had a guess at which games AEG have been hinting at acquiring. Their first guess, and pictured above, is Mai-Star. 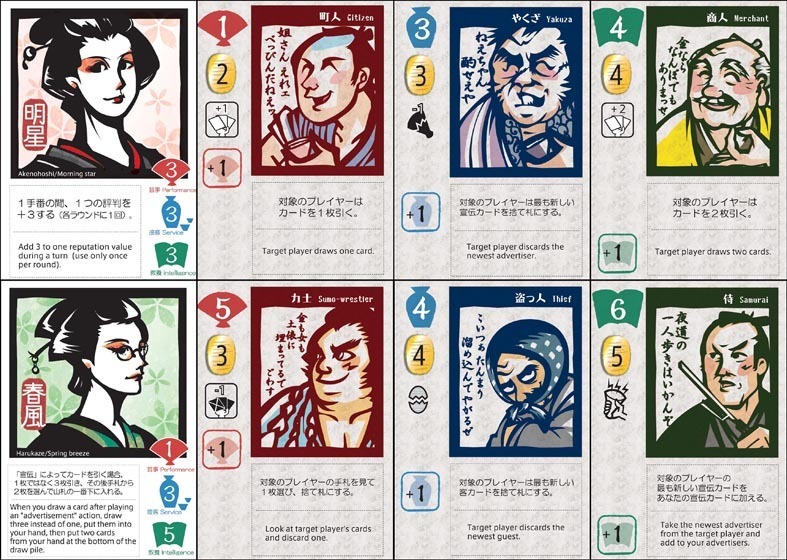 A game of geisha by the designer of Love Letter, Mai-Star has players drawing hands of ogling customers, and then EITHER flinging them away to boost your popularity, or accepting them as guests. In other words, you’re trying to strike a balance between your reputation and your actual bank balance as delicately as plucking a string on a shamisen. Probably. Another, Sail to India, just looks adorable. A game of trading and sailing between Portugal and India in the 16th century, small enough to conceivably sit in your pocket, like a tiny cardstock erection. Want! The game, not the erection. We’ve probably got Lost Legacy coming our way, too. That’s the sequel to Love Letter, with twice the cards. I’d have called it Love Letter 2: Love Letterer, but I will forgive them their mistake. ANYWAY, if you can’t find Love Letter, you could definitely just wait for this. Oh, this just looks boss. Mayday! Mayday! 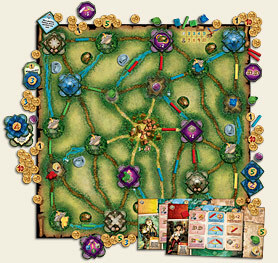 appeared on German crowdfunding site Spieleschmiede this week. A game of negotiation and hidden roles in the style of Werewolf or The Resistance, though you play a plane’s bickering and effeminately-illustrated cabin crew. 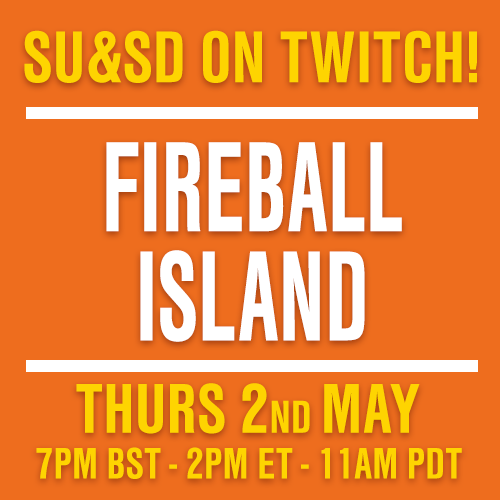 The captain’s died under mysterious circumstances, and between 5-8 players must figure out who to vote in as captain, and which crew are “infiltrators” to be kept out of the cockpit at all costs. 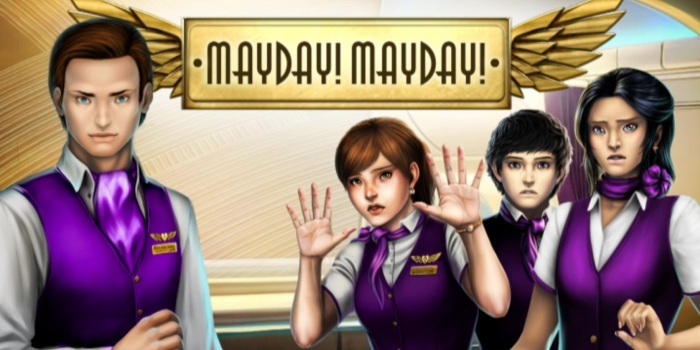 Not helping the somewhat… computative reputation of German games is the fact that Mayday! Mayday! veers slightly away from the traditional lying and screaming the genre’s known for, to provide a cross between Con Air and sudoku. Check this out: In addition to your “loyalty” card, saying whether you’re an infiltrator or honest, every player also receives an additional infiltrator card and honest card, and you shuffle them and put all three in front of you. As you have skirmishes for control, players can then peek at one another’s cards, and mark it as either honest or infiltrator for all to see. So deciding you trust someone then means you can believe all their tokens, and if they trust someone else, you can believe all THEIR tokens too, with your gossamer-thin trust forming a terrible spider web of maths. Yeah. I want it. And I’m totally playing it with a 30 minute timer on my phone, at which point the plane crashes and everybody loses. What’s that picture, you ask? Why, it’s ONLY the teaser image from the just-announced expansion for Tokaido, Tokaido: Crossroads! Ooooh, yes. Ooooooh. Ooh. Paul and I reviewed Tokaido a few weeks back and came away quietly awed. A game of hiking from Kyoto to Tokyo and simply trying to have the most spiritually (and nutritionally) enriching journey, we called it a perfect game for blowing away a certain kind of geeky preconception about board games, as well as the prettiest game we’d seen in a while. I love it. I love that there’s a game I can play on my shelf if I just want to simulating having six baths and eating a bowl of ramen. There’s zero information about Crossroads besides the above image, though you can glom a few things from it. 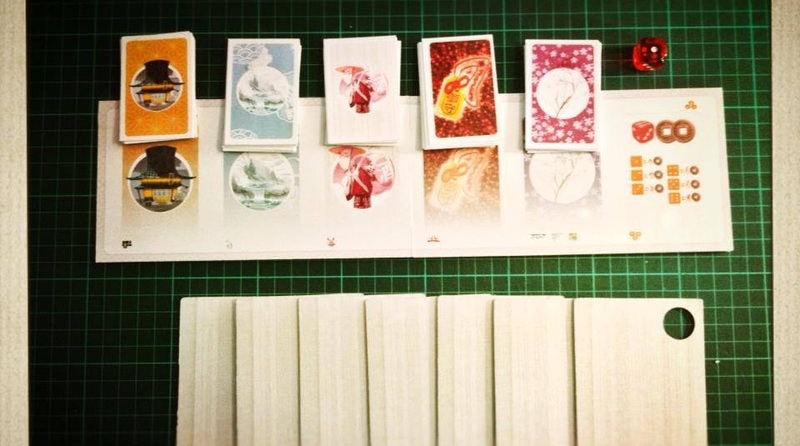 From left to right, those are new cards for souveniers, hot springs, chance encounters, then two new decks! Those look like… lucky charms and… weather? And now there’s a die! And seven new character cards? Considering we complained that Tokaido was good, but didn’t quite have enough content, this is manna from heaven. By way of France. Like word games? Or just words? Or games? Turns out the designer of Wok Star has another sneaky little game on Kickstarter, called Paperback. A game of building a deck full of special wordy powers, and using it to create words. It’s not often we feel we can safely recommend a Kickstarter, but this looks very reliably entertaining. Making words is fun, and the design description of the page sounds exceedingly well thought out. Until next week, news… board… boardhounds!